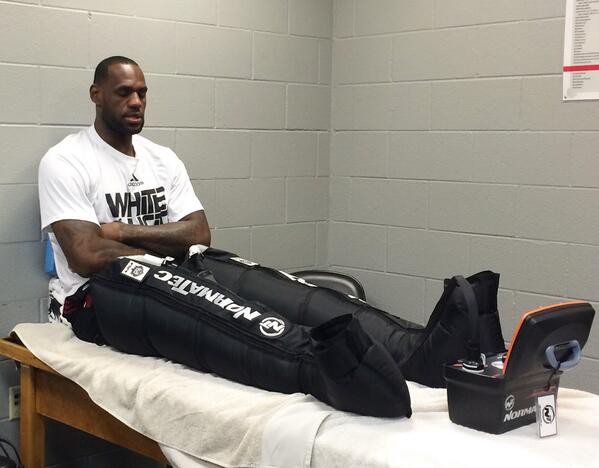 What is NormaTec Recovery System? 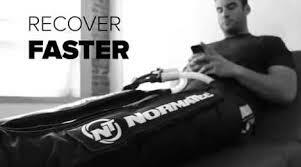 Our NormaTec Recovery system is a dynamic compression device designed for recovery and rehab. Our system uses NormaTec's patented PULSE technology to help athletes recover faster between trainings and after intense exercise. 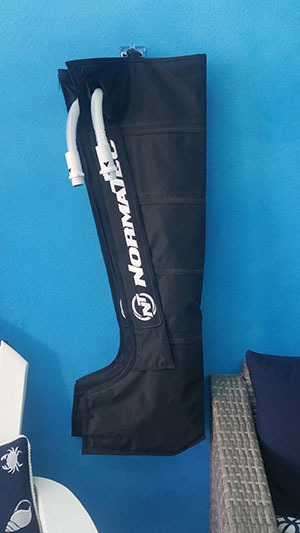 NormaTec is also great for those at risk of circulation and swelling issues such as lymphedema and deep vein thrombosis. Our system includes a control unit and attachments which go on the legs. Compressed air is then used to massage your legs, mobilize fluid, and speed recovery with the patented NormaTec Pulse Massage Pattern. When you use our system, you will first experience a pre-inflate cycle, during which the connected attachments are molded to your exact body shape. The session will then begin by compressing your feet, calf's, lower and upper quads. Similar to kneading and massage, each segment of the attachment will first compress in a pulsing manner and then release. This will repeat for each segment of the attachment as the compression pattern works its way up your limb. Distal release: Because extended static pressure can be detrimental to the body's normal circulatory flow, Sequential Pulse Technology releases the hold pressures once they are no longer needed to prevent backflow. By releasing the hold pressure in each zone as soon as possible, each portion of the limb gains maximal rest time without a significant pause between compression cycles. Who can benefit from NormaTec Compression Therapy?